ANTRAX GSM Gateway (VoIP gateway) consists of up to 4 or 8 GSM channels. That is 4 or 8 simultaneous calls. 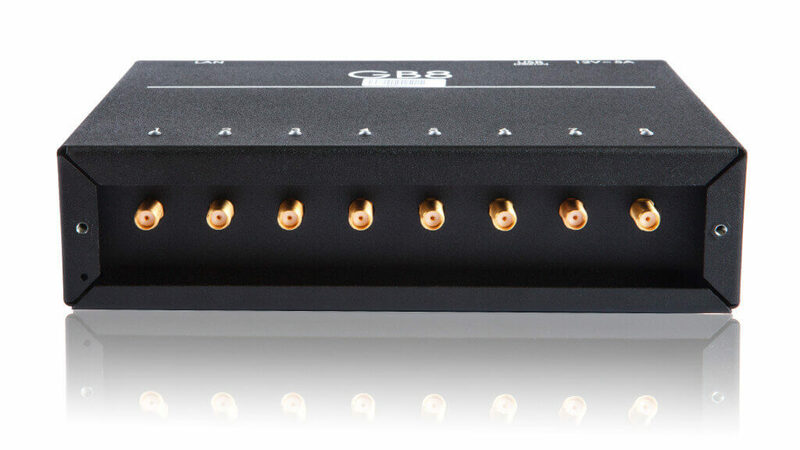 ANTRAX gateways support all band of GSM frequencies, GPRS and IMEI change. The client can choose individual number of gateways, equipping it with the required number of channels (without any limitations). This feature also means the flexibility in GSM gateway price setting. The modular architecture allows ANTRAX users to place SIM cards apart from GSM gateways and connect them via IP. This feature provides a huge advantage in terms of safety and removes limitations which could be applied to the location of your call termination system. Group connection allows you to attach more than one SIM card to every individual GSM module in GSM modem. It increases the reliability of the system and ensures its smooth operation when one or more SIM cards fail for some reason. In case of failure, the system will automatically replace SIM cards from the SIM array, which was previously connected to this GSM module, saving system capacity that could be temporarily lost in different situation. The new GSM-gateway is a compact alternative for GSM termination. Compact GSM gateway for VoIP termination. It has 4 or 8 built-in GSM modules. ANTRAX GSM gateway was specially created for those, who value the simplicity and compactness. It already has on-board PC, which helps the customer to avoid the problems connected with obtaining and placing the separate one.